This afternoon, I was happy to join U.S. Senator Kirsten Gillibrand as she announced the introduction of the Family and Medical Insurance Leave (FAMILY) Act, which would create a new national insurance program for paid leave during family medical emergencies or after the birth of a child. The United States is one of the few countries in the world today that does not have such a policy, forcing many Americans, especially women, to choose between vital family responsibilities and financial security. 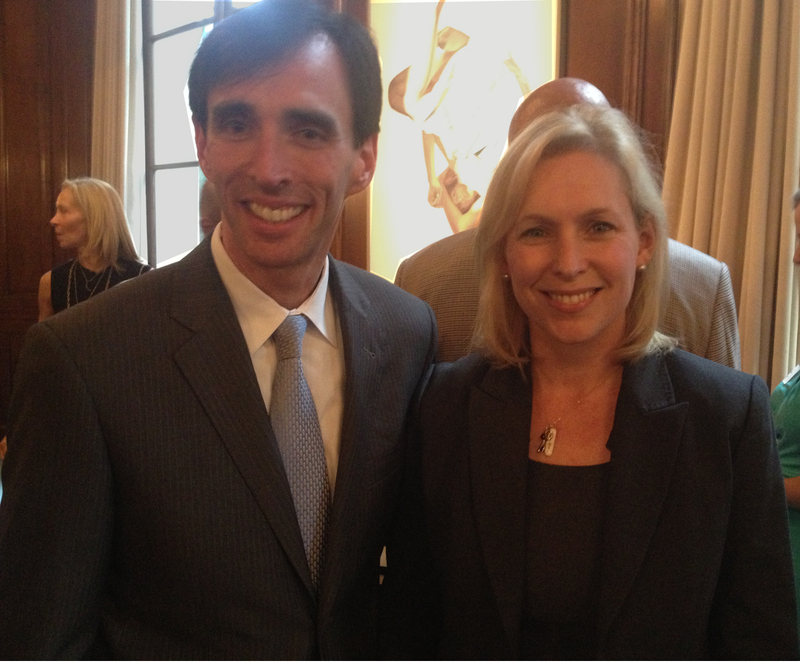 Senator Gillibrand made her announcement at the Westchester headquarters of MasterCard, which has a highly regarded family leave policy for its employees, setting a great example for other companies, and demonstrating that family leave can actually enhance productivity and profitability. Here is Senator Gillibrand’s press release with more information.